On June 22, 2017, at 9:09 a.m., Honor completes her last major milestone and fledges from the nest tree. The female eaglet, Honor, fledged from her nest tree at 9:09 am on June 22. 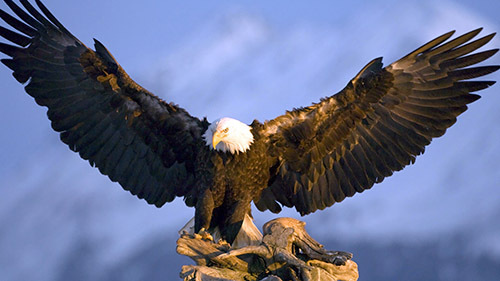 Honor was hatched in the DC Arboretum nest of Bald Eagles Mr. President & The First Lady on March 29, making her just over 12 weeks old at the time of the fledge. Honor had already had a “big adventure” when much younger. She was rescued from the nest after her leg was trapped between two branches, then was returned safely in less than 24 hours! Honor’s launch from the branch and first flight was perfect and intentional. Her flight took place after her sibling, Glory, left the nest this morning. Video shows her take-off at 9:09 a.m. and her return to the nest at 9:40 a.m. While the nest was empty, Mr. President delivered a fish, which Glory was happy to eat while Honor was away enjoying the freedom of her inaugural flight. Now both have taken to the skies as they begin their journey off the nest. We will have to wait and see how often they return to the nest. Our Remote Camera Operators will be on the lookout for them, and if any of our eagle family can be seen on cam, the cameras will be moved so all can view them. 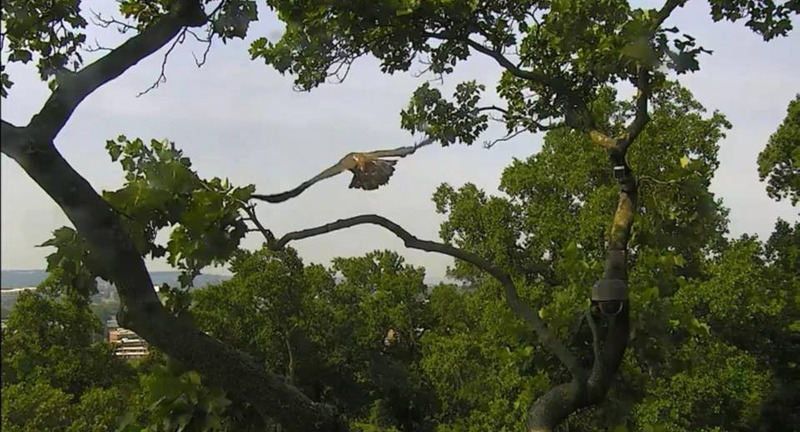 Watch the video of her first flight, captured on the DC Arboretum Video Cam by RCO Cheryl Loheit.